$5.45 /SF (8 SF per Box) Contact us for pricing and quantity discounts. Local pickup and direct shipping anywhere in the USA. 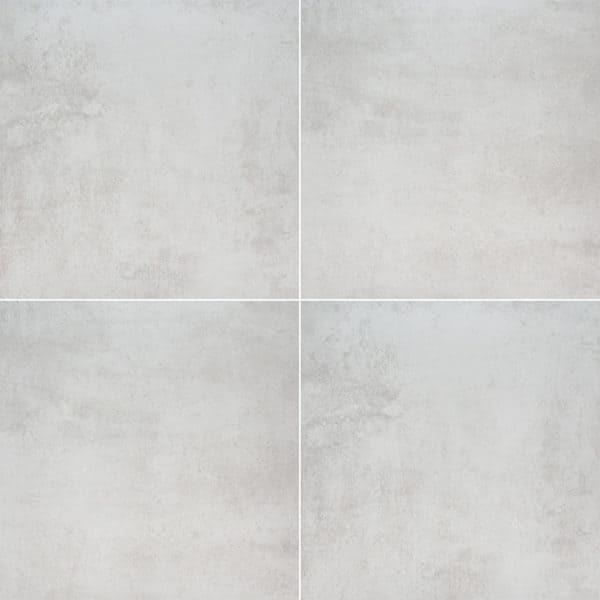 Beton Blanco pavers feature an icy white tone with a subtle tonal pattern. These gorgeous pavers are perfect for patios, walkways, floors, and other architectural design features. Use them for projects in both residential and commercial properties. Their light color is perfect in areas with lots of sun; they won’t absorb as much heat as darker colors. This material is available as a 0.75 inch paver and as pool coping. Beton Blanco Porcelain large format 24×24 matte finished pavers complement a variety of design styles, from traditional to contemporary, and are particularly suited for use in busy kitchens and baths.